SAMPLE SOUND REVIEW: 65% off “Juggernaut” by Impact Soundworks - Dark, Cinematic FX: Impacts, Risers, Transitions, Textures, Basses & Drums! 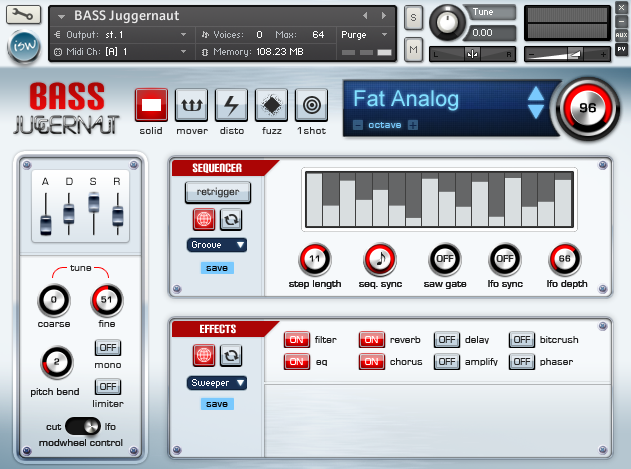 65% off “Juggernaut” by Impact Soundworks - Dark, Cinematic FX: Impacts, Risers, Transitions, Textures, Basses & Drums! 4.5GB+ of Dark, Cinematic FX: Impacts, Risers, Transitions, Textures, Basses & Drums! 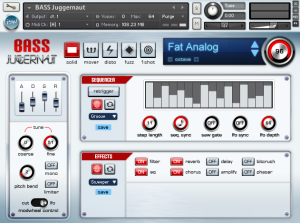 “Juggernaut” consists of three sound sets: Drums, FX, and Basses, spread across two Kontakt patches and an external set of stand-alone WAV files and uses a ‘next gen’ GUI with an incredibly deep and customizable feature set. 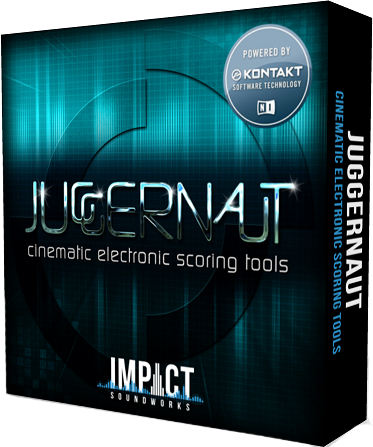 The result is a powerful scoring tool that is truly designed with composers in mind and we think that Juggernaut will quickly become an essential tool in your arsenal! 550 Epic Drum Sounds and Stunning Cinematic FX! The Drums & FX patch is built on over 550 samples (257 drums [10x RR each] and 296 fx) and contains 30 drum kit presets along with a wide range of impacts, rises, drops, textures and sweeps. Kick (45) – Short, bass-heavy kick drums with lots of 40-120hz punch and ‘oomph’. Snare (35) – All manner of electronic and physically-modeled snare drums, including noise-based snares. Thip (44) – Short, quickly-decaying sounds at a higher pitch and with mid/high frequency emphasis (i.e. hi-hats). Splash (20) – Medium-decay open hihats, splash cymbals, and other drums full of upper-spectrum noise. Crash (19) – Emulations of long-decay crash cymbals of various types. Slam (23) – Full-bodied drums that lie somewhere between a snare and kick – great for big hits with punch. Perc (54) – Toms, shakers, claps, rotos, orchestral bass drums, and ethnic drum emulations are all found here. Tonal (17) – Short noises with a very defined pitch. There are plenty of kits to choose from and all drums have 10 round robin variations for extra realism! Impact (92) – Powerful hits, great for downbeats or emphasizing cuts. Reverse (37) – Sounds that gradually build in volume, useful for transitions. Drop (40) – Synths that steadily drop in pitch, useful to bring the energy down before bringing it back. Riser (48) – Any kind of sound that rises and builds in pitch, volume and intensity before reaching a high point. Sweep (46) – Often tonal sounds that swell in volume, pitch or intensity, useful as transitions. 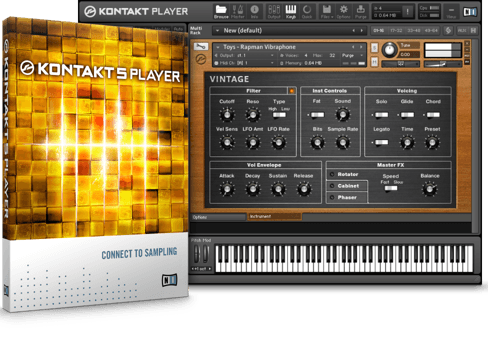 Texture (33) – Tonal sounds best used solo to establish ambience, atmosphere, and mood. Also included in this mode are a 32 channel mixer, divided into four sections of 8 virtual mixers channels each. A different drum or FX sound can be loaded into each slot with individual tuning, levels, and pan position, allowing you build complete kits. The Bank Selectors switch underneath the mixer controls which bank of 8 channels are being edited at any time. Additionally Audition mode maps your selection across the keyboard, helping you explore each instrument category. The FX Section contains a whole host of tools for processing the entire kit. Each effect can be switched on and off, and all parameters are saved with the preset. The effects included are Limiter, Exciter, Phaser, Filter, Reverb, Delay & ADSR. 50 Awesome Bass Patches for Maximum Low End Impact! Solid (10) – Sounds with little to no modulation or movement. Perfect for layering. Mover (10) – Sounds with lots of regular or irregular motion, sweeping, and phasing, including vowel sounds. Disto (11) – Distorted synths with significant saturation, bite, aggression and upper harmonics. Fuzz (11) – Sounds with emphasized mid and high frequency noise and smearing, creating a ‘fuzzy’ effect. 1-Shot (11) – Sounds that do not sustain and instead decay after a short time, useful for faster sequences. Patches are selected via the custom preset window, which also includes octave controls to knock the sound up or down by octave in pitch. A master volume dial sits to the right of this. On top of this each patch then has access to a step/arpeggiator sequencer with more than 10 presets plus an effects area with 10 additional presets too. 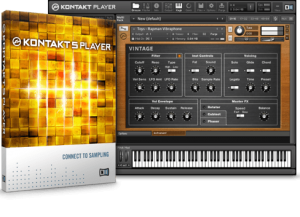 This gives you an incredibly flexible range of sounds from just 50 bass synths using just the presets! So What Exactly Can I Do With “Juggernaut”?